Our 80 resident children at the Mieze and Noviane Children’s Centres all come from the most hopeless and impoverished circumstances imaginable. Many are total orphans; the rest have only one living parent, usually a very poor mother unable (or unwilling) to care for her children. Many never had an opportunity to attend school before coming to our centres. There has been a close collaboration between the Iris Zimpeto Base, the IMC team in Canada and the Canadian Embassy. 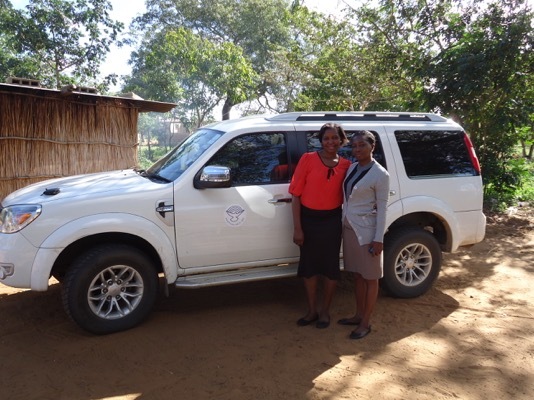 Through an extraordinary occurrence of events, a diplomat returning to Canada donated his almost new vehicle to the reintegration team at Zimpeto. Every day this vehicle heads out to check on children wanting and needing to come in, and likewise, connecting children (who live on the base) with their families. Our 80 resident children at the Mieze and Noviane Children’s Centres enjoy welcoming visitors…and especially when they are visitors who’ve come before and built relationships with many of the same kids over several years. Many of our older Noviane resident kids are now on Facebook and have access to other social media. This has enabled them to maintain communication with sponsors and adult friends from churches on the other side of the world. How different this all is from where we began with these same kids only 6-8 years ago!